Captivity comes in many forms, and sometimes the enemy is closer than you think. Freelance journalist Josh Salazar has just survived a Taliban kidnapping in Afghanistan, and is recovering at home with his doting parents. But when Josh's girlfriend pays a visit from Kabul, we learn how he found the courage to take on his most dangerous assignment, and at what cost. The world premiere of a gripping drama about the power of money, privilege, and family ties. David studied English at Yale, then journalism at Columbia, and finally playwriting at NYU Tisch (MFA, 2015), studying with Annie Baker. David’s journalism has appeared in The New York Times, This American Life, Fast Company, and The Wall Street Journal; he has been interviewed on NPR’s All Things Considered, and his magazine journalism has been cited in national newsletters like Longreads and Digg. His 30-minute This American Life segment about dysfunction in the Louisiana criminal justice system is under option for a television series by the production company Parkes+MacDonald. 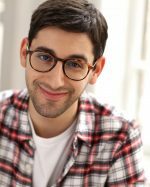 David’s NYU thesis play, The Room Where I Was Held, has received several awards and honors: Tisch’s Goldberg Prize (2015); O’Neill Playwrights Conference (finalist, 2016); Baltimore Playwrights Festival Silver Award (2016); Second-Rounder, Austin Film and Playwriting Festival (2017). 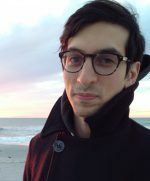 David was a 2015-16 writing fellowship at Playwrights Realm (which premiered Sarah DeLappe’s The Wolves), where he revised and workshopped The Room Where I Was Held together with director Gaye Taylor Upchurch; the play received a reading under the auspices of Playwrights Realm’s INK’D Festival, held at Signature Theater in May 2016. The play has also been workshopped by the directors Knud Adams and Sarna Lapine (Sunday in the Park with George on Broadway), and has had staged and internal readings at the Kennedy Center, Martha’s Vineyard Playhouse, and Old Globe. 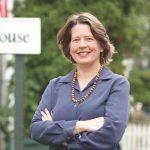 MJ is the Artistic and Executive Director of Martha's Vineyard Playhouse. 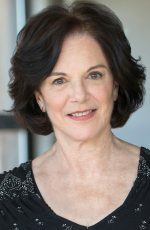 Her work as a stage director spans over 25 years, including world premieres of Jon Lipsky’s WALKING THE VOLCANO, Arnie Reisman's NOT CONSTANTINOPLE, and SWEETENED WATER by Edward L. Beck. Her most recent credits include RED, THE SECOND GIRL, DUSTY AND THE BIG BAD WORLD, DRIVING MISS DAISY and PASSIONATA. MJ is the recipient of the 2005 Creative Living Award from the Permanent Endowment Fund of Martha's Vineyard. She is a member of SDC. She and her husband Paul live in Vineyard Haven. Kippy has performed throughout Boston, New England, nationally and internationally. Recent stage: Wheelock Family Theatre (Dr. Carey, “Stuart Little”), Company One (Mother, “Really”--nominated for an IRNE and Elliott Norton award for best actress. ), received a best actress Broadway World nomination and special recognition IRNE award, as well, for her performance as Helen in “Absence” at Boston Playwright’s Theatre. Her voice-over work includes American Experience and the Museum of Fine Arts. In film, she appeared as Francine Doyle in the film Gone Baby Gone. In addition to theatre and film work, Kippy works in both dynamic role-playing for doctors and lawyers, as well as standardized patient in medical settings. She is a proud member of Actors’ Equity Association and SAG-AFTRA. 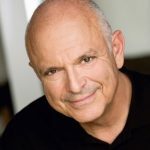 Recent credits include The Mecca Tales (Voyage Theater/Crossroads Theater Company) Five Historic Children Who Are Not (Target Margin Theater LAB) FILM/TV: Still Light (MbroPro) Why I Stayed (Prime) Madam Secretary. Upcoming: Play for Voices audio drama of Illegal Helpers, The Secret Keeper (short). Jonathan Lipnick (The Buffer, Crown Cork Cafeteria, Til Then, The Working Theater, founding member; Fifty Flat, New York Theater Festival; The Writer, Actor’s Studio; Romeo and Juliet, The Taming of the Shrew, The National Players; Comedy of Errors, D.C. Shakespeare Festival; Film/TV; Trophy Boys, The Chosen, Ryan's Hope, Great First Words, Masada; Monday Night Specials at the MV Playhouse. Greet the Greats, “informances” on great personalities from Jewish history (David Ben Gurion, Shabbtai Zvi, Moses Maimonidies, and Judah Maccabee), performed in schools and community centers. Currently working on a one-person show on the life of Louis D. Brandeis; Jonathan, an ordained rabbi, was a consultant to Paolo Sorrentino for the film This Must Be the Place. He studies acting with Lee Brock and Seth Barrish at The Barrow Theater Group. With gratitude to SDAN for all of your love and support!